Imagine a wireless health-monitoring system that monitors blood pressure, body temperature, respiratory rate, oxygen consumption and heart activity, regardless of the patient’s location. An interdisciplinary team of engineers has developed just such a system. Via a lightweight and wireless module that snaps onto clothing garments, sensors communicate with system software that relies on a smart phone to collect information, compress it and send it over a variety of wireless networks. The sensors, which are smaller than a dime, include gold nanowires as well as flexible, conducting textile nanosensors. 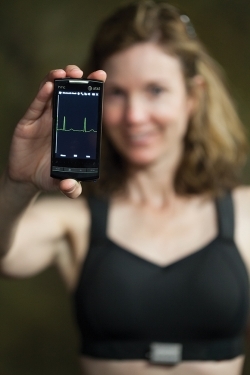 Data from the sensors then stream to commercially available cell phones and hand-held devices, which expand the use of the system beyond health care. By carrying a cell phone, athletes can monitor all signs mentioned above and other metrics, such as number of calories burned during a workout. The system can also be programmed to send emergency messages, via voice or text messaging, if it detects extreme or abnormal conditions. See and read more at University of Arkansas Newswire.